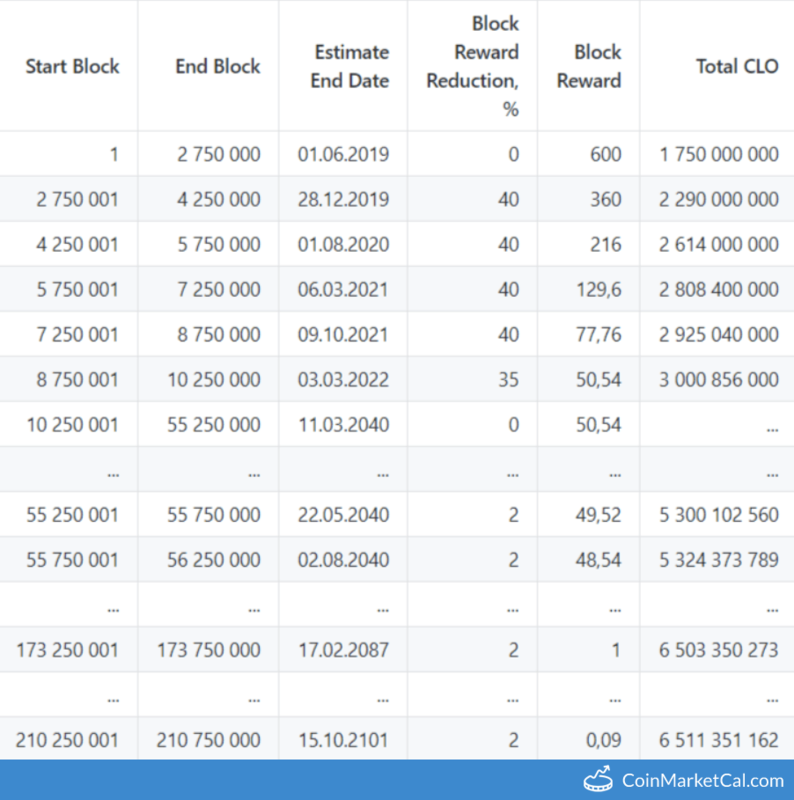 Reward halves on block number 2,025,028. Coin percentage reward will decrease from 5% to 2.5. Block reward will be reduced 4 times by 40% every 1,500,000 blocks. Next reward reduction is June 1. "Third (stage 3 at block 1 500 000) reduction of POW miner's reward," in Q3 2019. 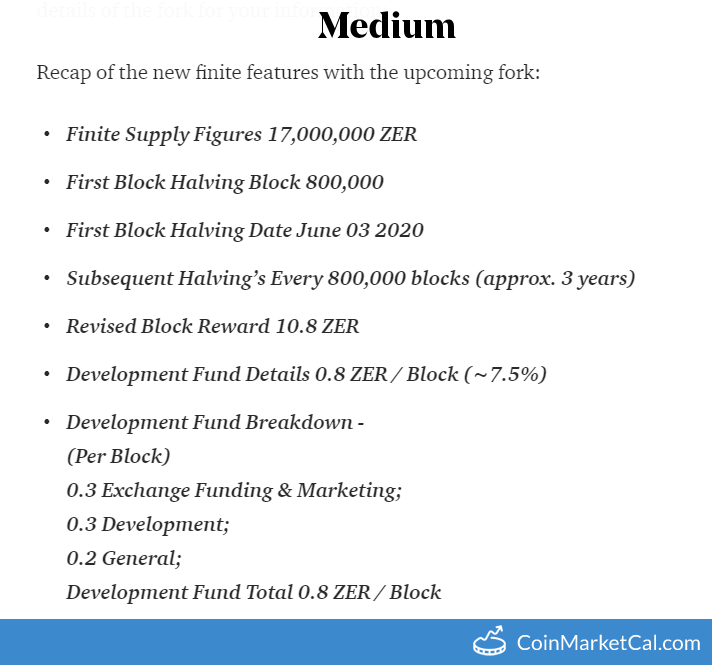 "Forth (stage 4 at block 2 000 000) reduction of POW miner's reward," in Q4 2019. 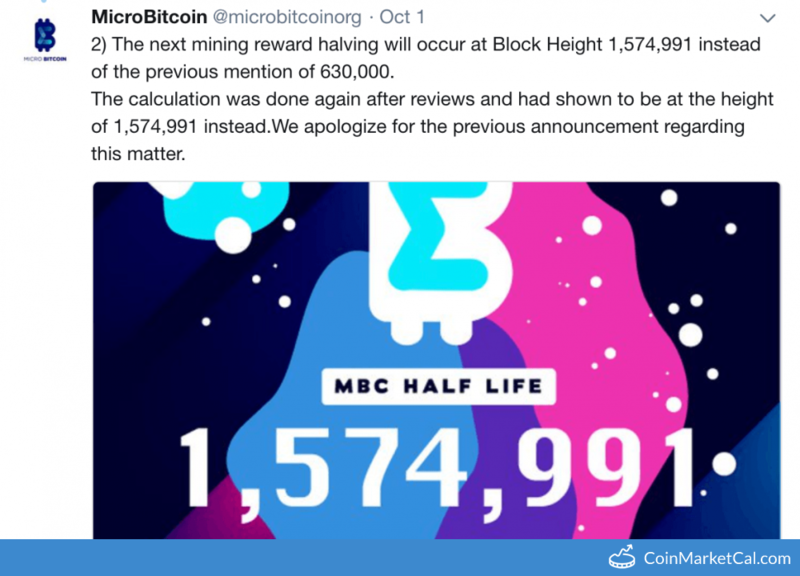 MicroBitcoin block reward halving from 12,500 MBC to 6,250 MBC per block will occur at Block Height 1,574,991.